With a continuation of the story line from last week's blog, I want to review last week's introduction again today. In the industrial and manufacturing workplace, products move in and out of facilities with the idea of creating profits for business. Product movements pass through doors and across docks in the normal course of travel in, through, and out of the facility. Customers that have strong partnerships with vendors that provide installation and service for dock and door equipment can realize better return on investment. Vendors that understand product movement, forklift specifications, throughput, and cycle times provide solutions that meet the need, just not a specification. In this week's blog, let's take a look at industrial doors. 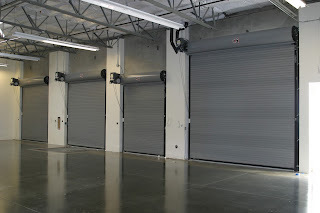 Industrial doors in workplace serve as a passage way between work areas, often for security, climate control, dust control, and noise abatement. These doors vary in design and style from metal roll up doors to mesh screen for flying insect barriers. The method the doors work varies as well. The methods vary from manually controlled, control box, pull cords, and motion sensors. Regardless of style and material, doors serve an important purpose in the work place, and proper door maintenance and installation are important for maximum production and cost control. Many industrial work places have the need for fire doors. These doors protect one area of the building from another area in case of fire, and provide time for workers to safely exit, and also save the company assets in the protected area while the fire department arrives to put out the fire. Have you tested, adjusted, and certified the fire doors in your facility? Take a look at this short video of a fire door and the proper adjustments so the door closes at the proper speed. 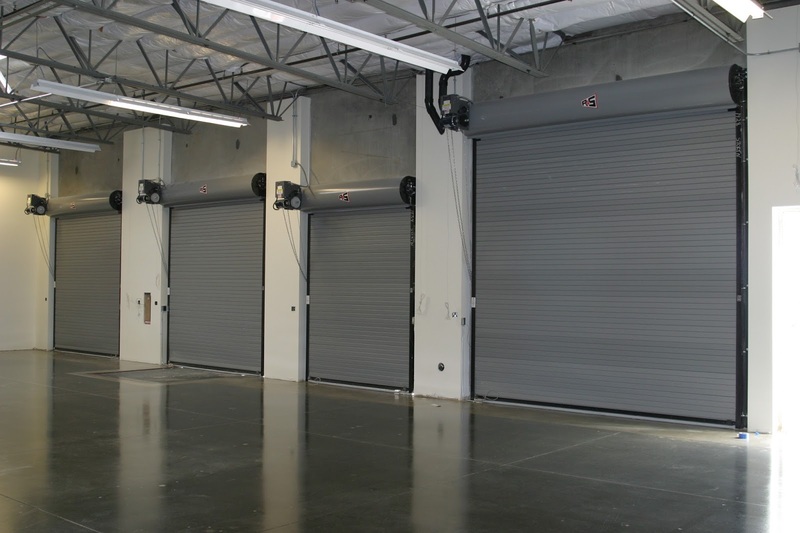 If you don't know the current condition of your industrial doors, or you know there are issues that need attention, now is the right time to address those concerns. To do this, you should hold the back of your hand near the edges of windows to track down the source of leaks GoodWindowWorks You want your project to be handled by experienced and skilled contractors that not only advise you but also do the job to exceptional standards. This Post is very useful, Very interesting post. Lift Trucking for household goods moving or industrial goods shifting, we provide excellent shifting support at the affordable cost and packing process done very carefully with the genuine packing. lift truck attachments. At one time in the United States 75% of the people were employed in manufacturing jobs, and today that number is around 8%.rubber gaskets Most of the jobs in the United States today are considered service jobs, government jobs, or retail.